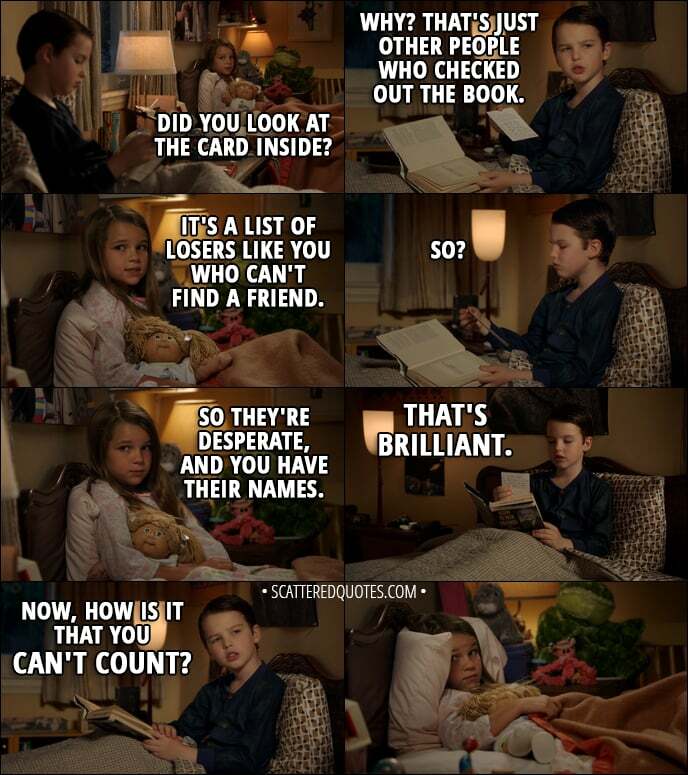 Missy Cooper: Did you look at the card inside? Sheldon Cooper: Why? That’s just other people who checked out the book. Missy Cooper: It’s a list of losers like you who can’t find a friend. Missy Cooper: So they’re desperate, and you have their names. Sheldon Cooper: That’s brilliant. Now, how is it that you can’t count?